I think I've finally gotten over my "Oh my goodness school is out and grad school is done and I don't have to do anything productive" phase. Yesterday, I wrote out a new SBG skills list for Algebra 1 for next year. Oklahoma has adopted new standards, so I had to make quite a few changes from what I used last year on top of all the normal "I don't know what I was thinking when I chose to do it this way last year" changes. 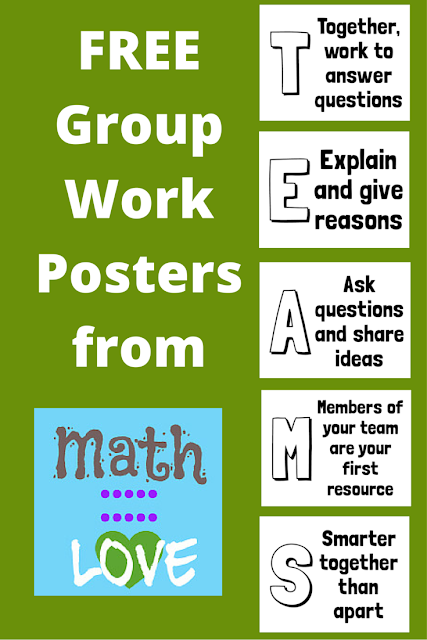 I'm excited to start brainstorming about ways to incorporate more group work in my classroom because my new classroom will be so much more conducive to group work than my old classroom. 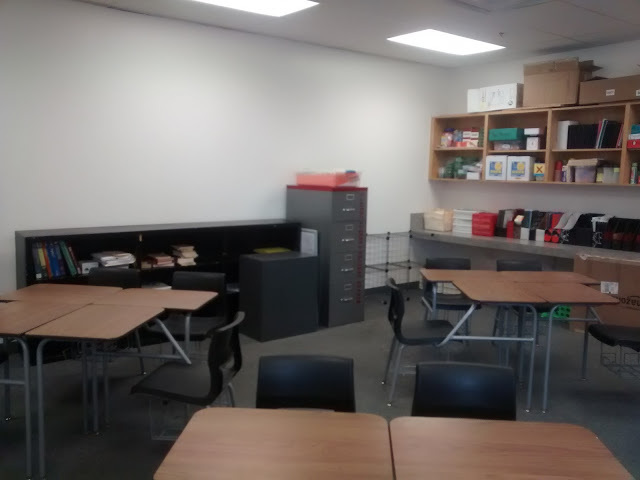 In my old classroom, putting the desks in groups of four meant not being able to walk across the classroom because the desks were so close together. In my new classroom, it seems like I should have quite a bit of space between groups! So, here are the posters I designed. They are made to print on letter sized paper. I've uploaded the file for these posters here as an editable Publisher file and a non-editable PDF file. If you choose to download the Publisher file, you'll also need to download these free fonts: Londrina Shadow and Londrina Solid. If you're interested in other posters, you can find more here! I would highly, highly, HIGHLY recommend reading "Designing Groupwork: Strategies for the Heterogeneous Classroom". It's about groupwork with the Complex Instruction model, which is what CPM was designed for. I took a grad school course in CI from one of the writers of the CPM Algebra Connections, and it's the "textbook" we used. I only occasionally use CPM now, but I refer to Designing Groupwork fairly regularly. It's very accessible, gives very concrete examples from real classrooms, AND has reproducibles in the back! You won't regret it. I think you may be talking about Judy kych out of San Francisco state right? That was one of the required books. It came with a DVD and I want to investigate it more deeply. That's on the summer list. It was actually an instructor at the University of Washington who used to be in San Fran. She relocated to Seattle to do CI work up here, but I think still flies down to collaborate with colleagues occasionally. I didn't know it came with a DVD! My copy didn't. I'll have to look into that! I'd love to hear about how SBG has worked for you - maybe a future post? Hi Sara, and everybody. I was asking some days ago about your two math classrooms, how somebody could teach using both rooms at the same time. This posting gave me the idea that collaborative learning in small groups could work in those two rooms. I really wonder if you have some experiences with this kind of teaching. This topic is actually very interesting. I have to admit that I don't really have experiences with that but I think one possibility for that collaborative learning in small groups could be the so called "Jigsaw technique". This is a technique that breaks classes into groups and assignments into pieces that the group assembles to complete the so called "jigsaw puzzle". So it makes students dependent on each other to succeed.